To enhance and sustain a successful and innovative workforce system in the Upstate of South Carolina and to provide financial and project support of the Upstate Workforce Development system that meets the needs of businesses in Cherokee, Spartanburg, and Union counties and provides quality jobs for job seekers. 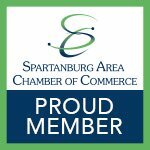 To support activities that assure a diversified, creative, highly-skilled, and flexible workforce that meets the current needs of employers in the Upstate of South Carolina, including the member counties of Cherokee, Spartanburg, and Union. These activities include services that will continue, sustain, and improve the quality of life of our residents. For more information, please write to the address above or email upstateworkforcefuturescorp@yahoo.com . Donate now to help support local workforce initiatives!